Have you ever seen a more wondrous sight? This beautiful Space Invaders Pectinia is simply stunning, and we’ve never seen a finer specimen. The coral is in perfect health, exhibiting rich and vibrant colors, showing no signs of dead spots, and, to put it simply, looking flat out awesome. The Space Invader has been an extremely popular coral as of late. Its colors and funky growth patterns make it stand out in any established reef, and hobbyists have been falling all over themselves trying to get a piece. 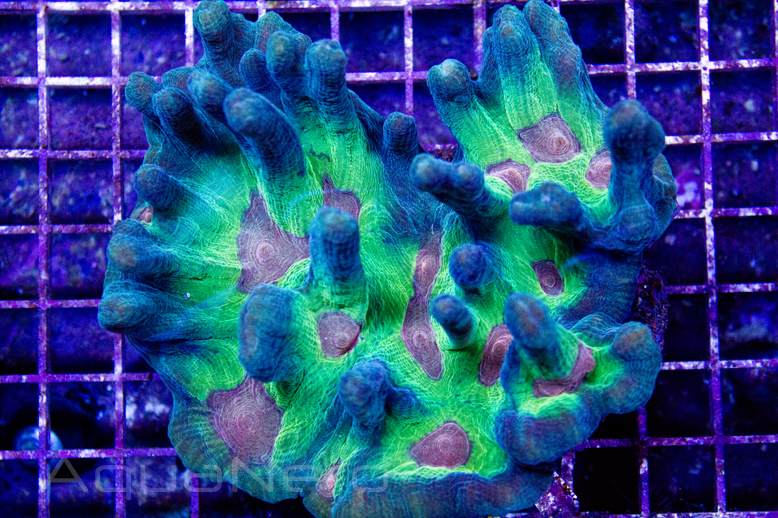 Frags usually go for around $100 or more, so you could imagine how big a price tag a beautiful colony such as this would fetch. Wouldn’t this look awesome as a showpiece in your reef tank? We think so, and wouldn’t mind paying a premium for a frag. It just looks so sweet!